1st Grade students learned about the artist Irene Rice Pereira. She actually went by the name Rice because she didn’t want people to judge her artwork differently because she was a girl. 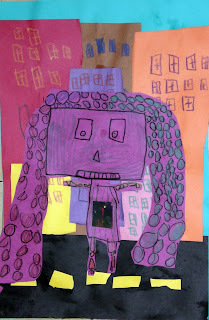 Rice liked to create artwork that represented technology, so the 1st grade students created artwork with the same theme. We talked about how we use technology on a daily basis and what shapes you might see in the inside of a computer (squares and rectangles). 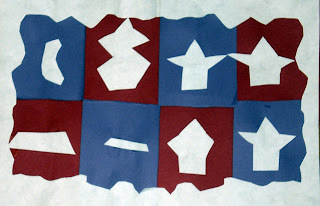 We then cut those shapes out of tissue paper. After using a collage technique with the tissue paper, students then learned about printmaking and printed different rectangular textures onto their artwork. Don’t these collages look like the inside of a computer? ?